Black-eyed peas are traditionally served on New Years Day to bring luck in the coming year. They are SO easy to make in the Instant Pot, or any electric or non-electric pressure cooker, you don't need a special occasion to make these beans! Enjoy them on New Years Day along with some Collard Greens for good luck! Better Than Bouillon is amazing stuff, but if you don't have it, you can use chicken stock in place of the water, or use stock cubes mixed into the water. Place all ingredients in the Instant Pot. Set it to Manual at High Pressure for 25 minutes. Once cooking is complete, let the pressure release naturally. 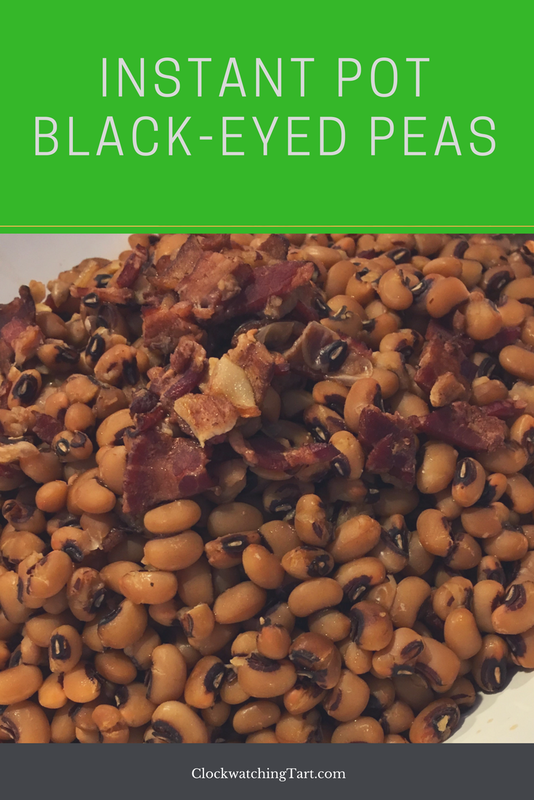 Serve the black-eyed peas with some of the delicious cooking liquid, and use the rest of the liquid to make Collard Greens, or save it for soup!